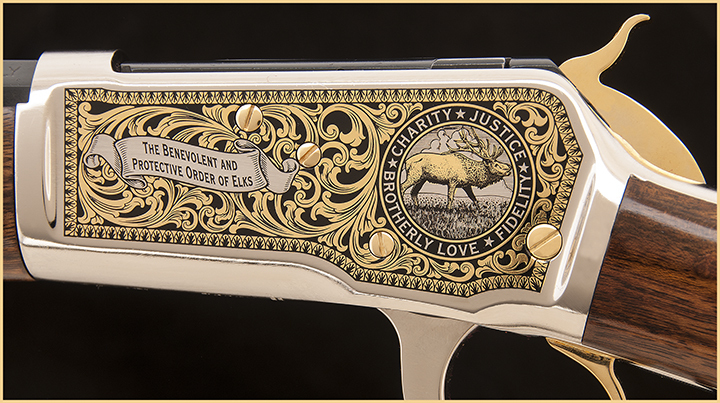 Associations & Foundations | More | Inventory | A&A Engraving, Inc.
Fundraising solutions for local and national groups and associations. 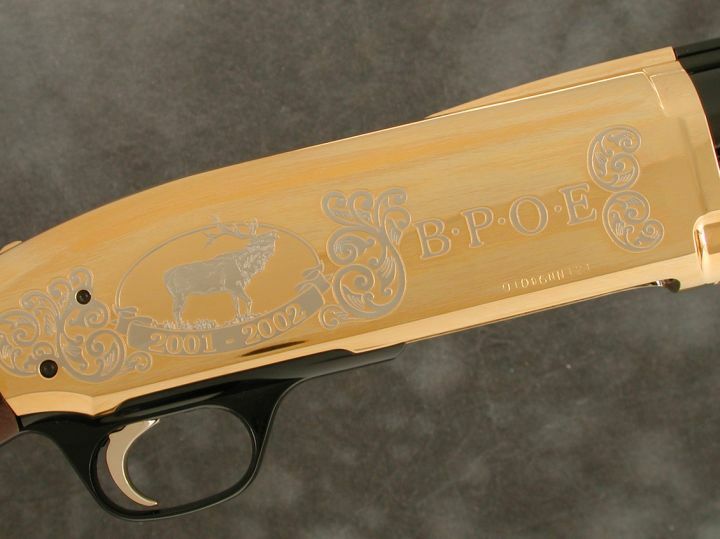 Finish: 24K gold and nickel highlights on a classic blued frame . 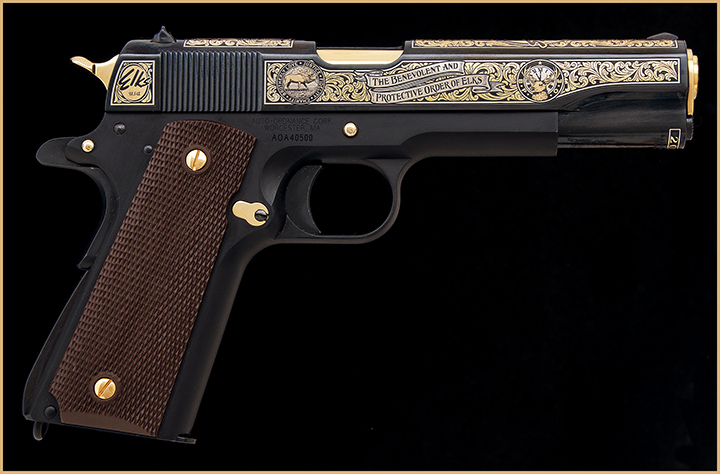 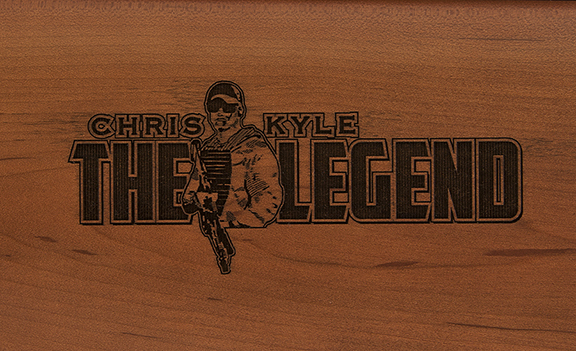 Exclusive limited edition commemorating U.S. Navy Seal Sniper Chris Kyle. 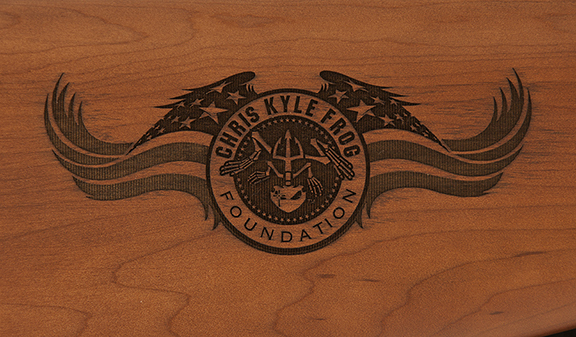 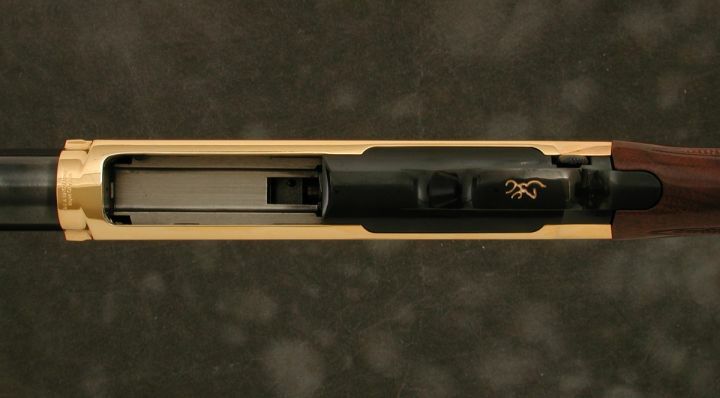 A portion of each rifle sold goes to the Chris Kyle Frog Foundation and will be used to help service members and their families. 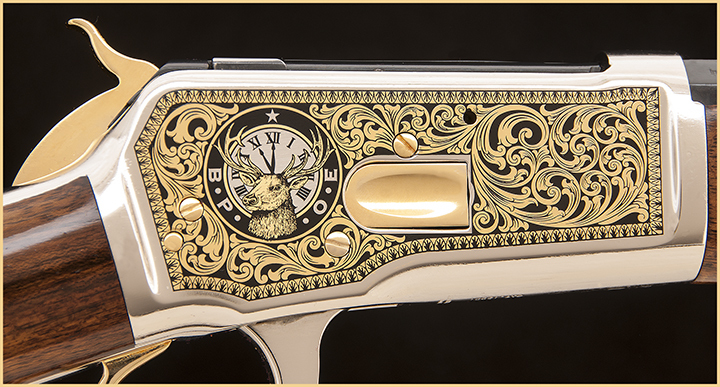 Finish: 24K gold against a durable bright nickel finish. 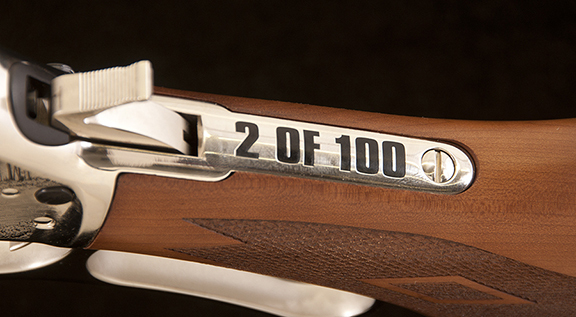 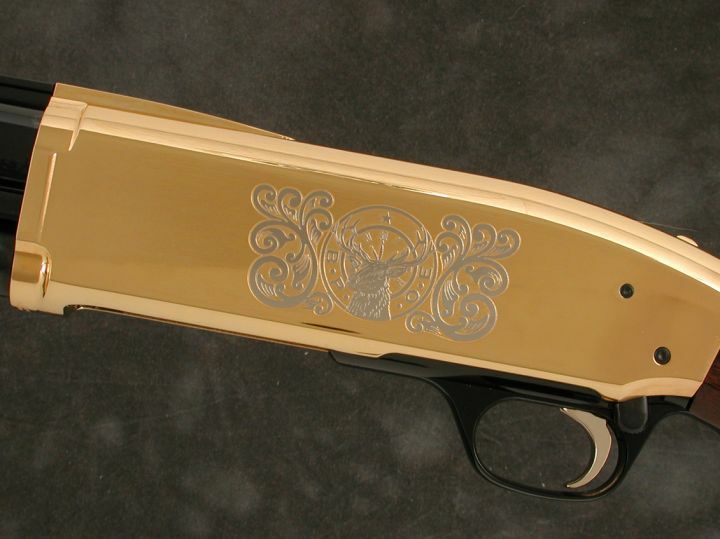 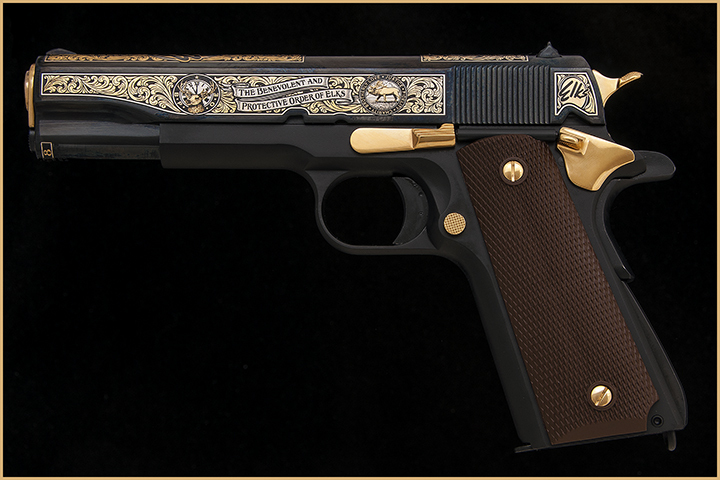 Finish: 24K Gold base with Bright Nickel highlights, blue barrels, hand-finished stocks.